About 450,000 cars on Long Island are on the road with unfixed recalls, according to new data shared by Recall Masters, a Laguna Hills, California-based group that tracks recall data nationwide. About 1 in 5 cars registered to addresses on the Island have an open recall, compared with 1 in 4 nationwide, according to Recall Masters statistics. There are about 63 million cars with open recalls nationwide. Miller said there is a 70 percent recall completion rate for newer cars nationwide. That drops to 35 percent for cars made between 2003 and 2008. 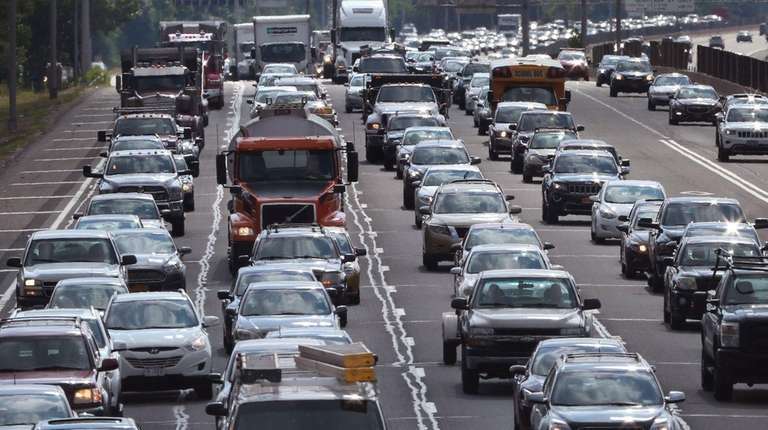 He said Long Island’s overall completion rate of 60 percent is above the national average of 48 percent because residents drive more new cars. Honda has the highest number of unrepaired recalls, according to Miller, because of faulty Takata air bag inflaters. About 20 percent of all open recalls are related to Honda, and two-thirds of those are because of the Takata air bag inflaters. Honda has repaired nearly half of its 11 million vehicles affected by that recall, Miller said. “Honda is working very, very hard to track down vehicle owners and I commend them for their hard work and dedication in taking this seriously,” he said. He added that the Takata recall was, by far, the largest of all cars over the past two years. More than half of all open recalls on the road are related to the Takata inflaters. GM, Toyota, Ford and Fiat Chrysler round out the top five for open recalls, according to Recall Masters statistics. Takata Corp. and three former employees were charged by federal prosecutors with concealing the deadly defects in their automotive air bag inflaters. The inflaters are linked to at least 16 deaths worldwide, 11 in the United States. The faulty inflaters touched off the largest automotive recall in U.S. history, involving 42 million vehicles. The Takata recall has kept Atlantic Honda in Bay Shore busy. The dealer fixed more than 1,000 air bags in the past year, said Nicholas Squeo, Atlantic Honda’s service adviser. Sayville Ford also alerts customers if there are recalls on their cars, said Dimitri Kreatsoulas, assistant service manager at the dealer on Sunrise Highway. He said the Takata air bag recall hasn’t been as prevalent at Ford, but the carmaker did expand a door latch recall in September. “If we have the parts, we will do it right away,” Kreatsoulas said, adding that Ford pays for the recall fix. Latches, ignition switches, transmissions and engine mounts are other common reasons for recalls, Miller said.